Class reunions are a fun way to reconnect with former classmates. Our PVC sign is four feet tall and can serve double duty. Put it at the front door to welcome everybody, and then bring it inside to serve as a centerpiece for photos with your friends! Usually, a generous alum will volunteer to rent one for the evening. Rental cost is $50 for the event. We deliver, set it up, and retrieve it before the evening ends. The six-foot FLAMINGO can also be used for your class reunion at a rate of $75 for the evening. 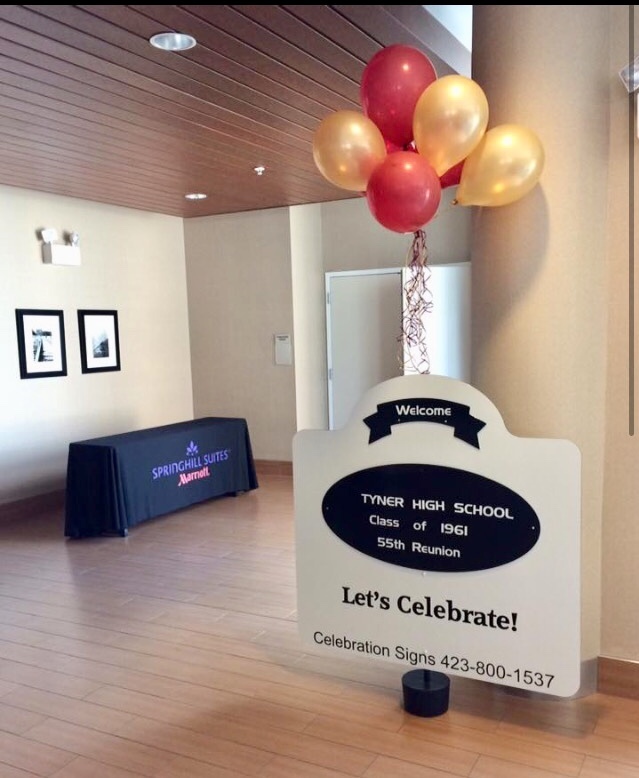 Optional: For an additional $15, we will attach a balloon cluster in your school colors to the back of the sign.